Something different for the "just Jessie B blog" today! I recently went to a baby shower for a brand new mommy-to-be, and wanted to get creative with my gift for her. So, I went where we all go when in need of inspiration... Pinterest! 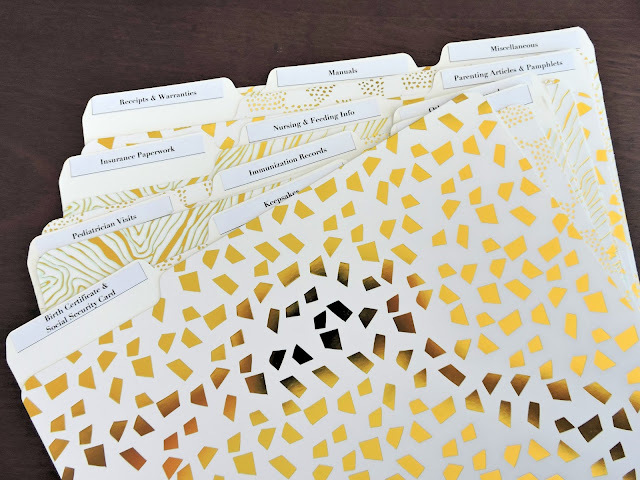 I loved this idea that I found from blogger Meredith over at "UnOriginal Mom". She was once gifted, and then later recreated, this DIY organizer-- perfect for any mom-to-be. Functional gifts make me happy~ so I decided to make a trip (or two) to Target, and got started on this awesome project! 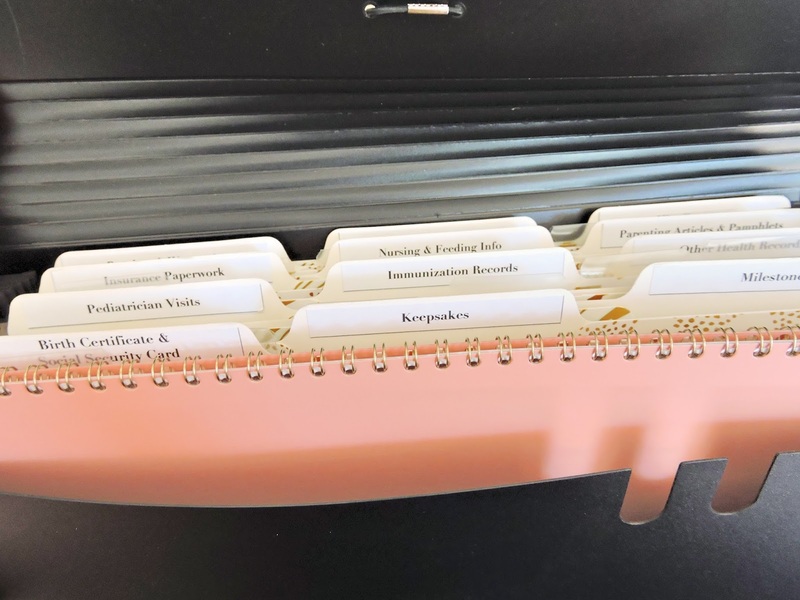 Basically, this is a accordion-style file holder that is filled with labeled folders to hold important paperwork on-the-go. I love that any mom can keep this in their diaper bag or car when they know it might be of use-- at the hospital when baby is born, trips to the doctor's office, out shopping for baby, etc. Then, if they need any papers (e.g., carseat manual for an unexpected malfunction, insurance documents at the doctor's office) they are right there to grab! The files can also be swapped into their at-home filing cabinet when they don't feel like they need them on-the-go anymore. I also thought this would be great to have on hand at the hospital when the baby is born, since there will be so much information and paperwork to take in all at once (during a very overwhelming time). Almost forgot to mention my favorite part.... I added a planner! 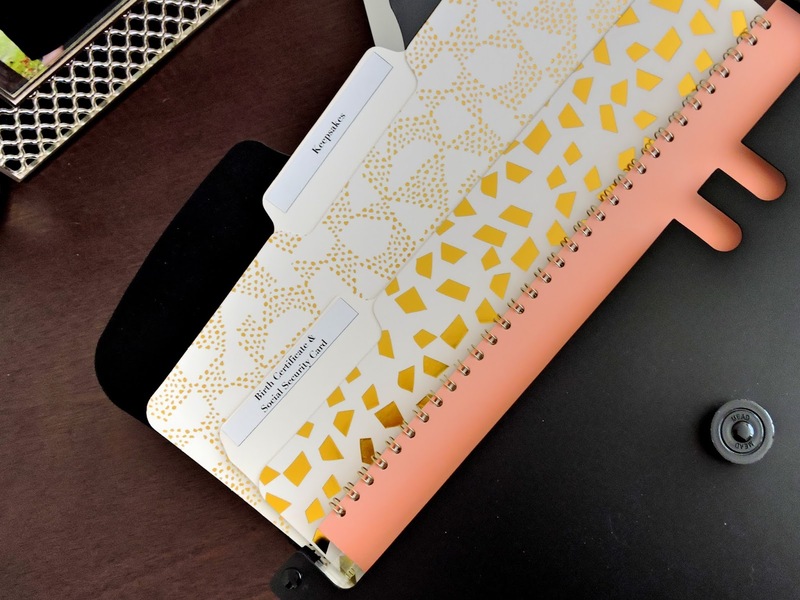 I thought it was the perfect addition to keep in the front slot of the organizer. This would be a great spot to track baby's milestones, jot down appointment times, or plan playdates. 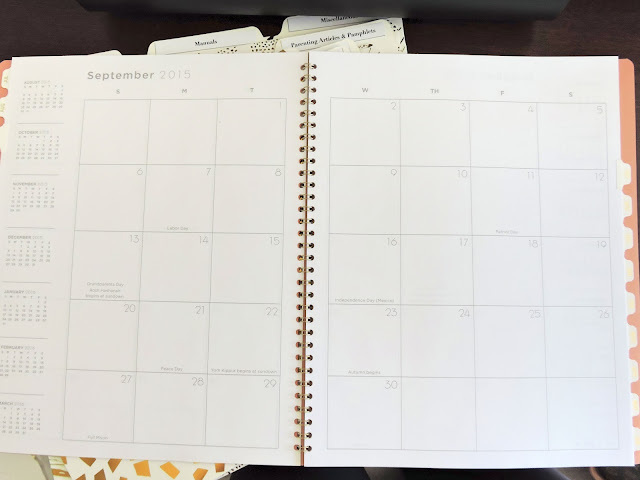 I know so many people are all about smartphone calendars nowadays... but I always love a paper planner-- and thought this would be a neat way to keep things separated for the baby. So, if you'd like to see my step-by-step (super duper easy) DIY gift idea... then keep on reading! & Remember, this is just my version (I like things neat & simple)~ but feel free to glam it up, or change up the colors depending on baby's gender. Use it as inspiration, just as I used the UnOriginal Mom's! 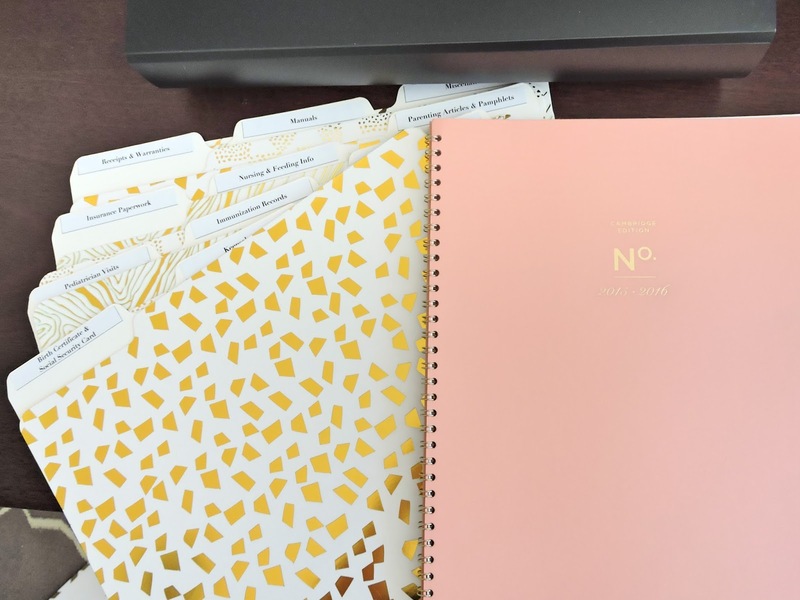 Monthly planner, size 8 1/2" x 11"
Lay out your folder in the order you'd like them to be in the organizer (I staggered mine by the tabs). 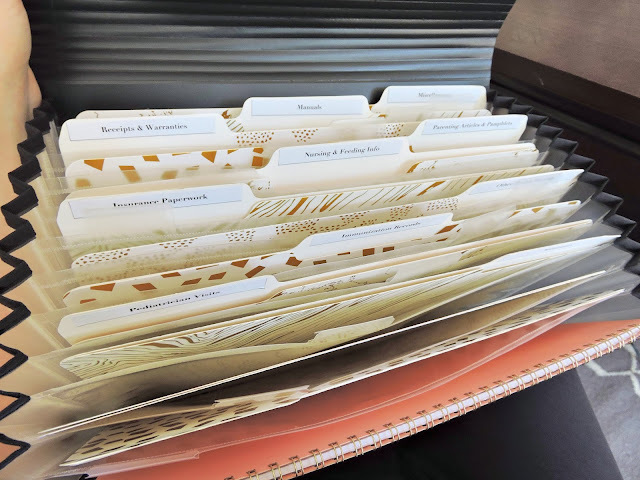 Slide your folders into the slots, and add your planner to the front pocket for easy access. Feel free to glam it up or further personalize it as you'd like-- then wrap it up with a cute note! I hope you guys enjoyed something a little different! Let me know if you make this, or if you have any other good DIY gift ideas! I love this DIY gift! Please keep them coming! My friend just found out she was pregnant. They're getting married & having The baby asap! This is a perfect gift!! Thanks Agustina!! Let me know if you have any ideas or types of things I should make! I always need new ideas! & Mackenzy-- perfect!! Congrats to your friend <3 <3 Take a pic if you make it! Many thanks Agustina!! Allow me to know for those who have any suggestions or kinds of things I ought to make! I usually need brand new ideas!Thanks for your info. I was looking for a blog post that covered exactly how to make this! I love your easy directions and your personal spin on this gift. Thank you!